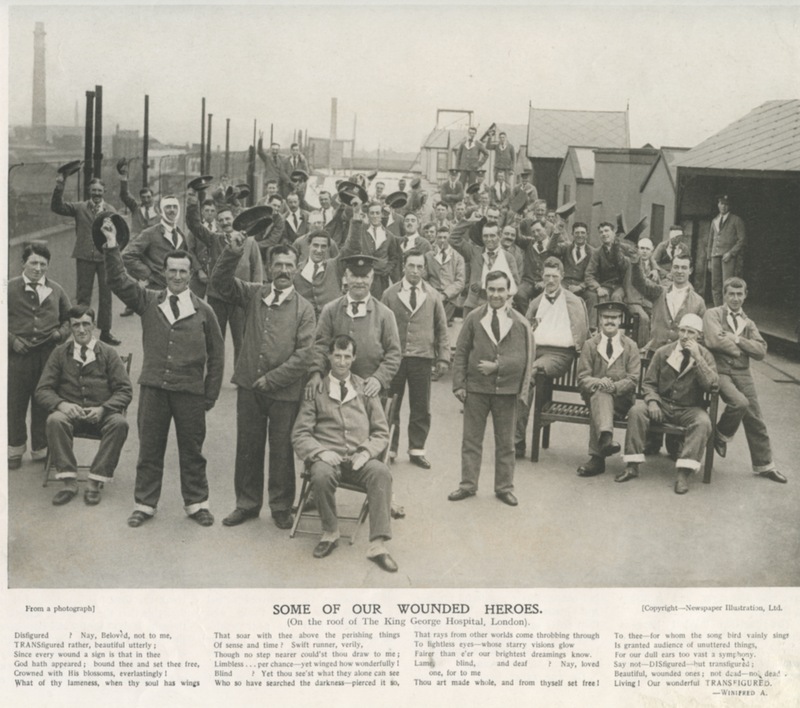 As we commemorate the centenary of the outbreak of World War One and as we approach Armistice Day on 11 November, Dr Adrian Thomas, BIR Honorary Librarian, reflects on the huge impact that the WWI radiology martyrs had on the radiation protection standards we take for granted today. Many things were to change in 1914 at the start of hostilities and were never quite the same afterwards. The old confidences were shaken. One item that symbolizes this period for me is an old wrist watch given to me by Yvonne Beech. It was presented to Corporal Edward Wallwork RAMC (Royal Army Medical Corps). Wallwork was from Lancashire and had worked in the cotton industry; he came to London during the Great War, joined the RAMC and trained as a radiographer. At the outbreak of hostilities the War Office requisitioned a newly completed five-storey warehouse, H.M. Stationery Office in Stamford Street, for a 1650-bed Red Cross military hospital. The hospital was close to Waterloo Station and was connected by a tunnel. The building today is part of King’s College London. 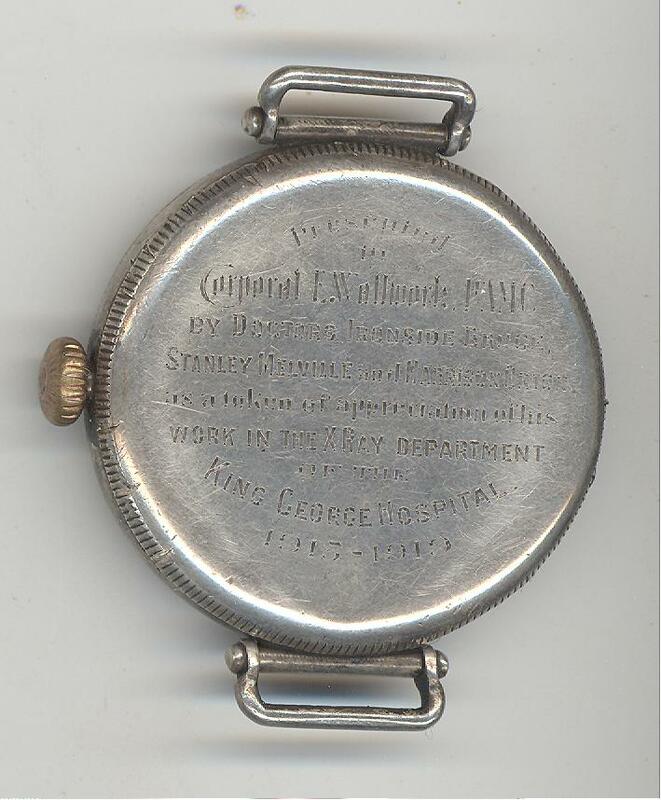 The silver Swiss wristwatch was presented to Wallwork by doctors Ironside Bruce (1879–1921), Stanley Melville (1867–1934) and George Harrison Orton (1873–1947). The three doctors had all served in the forces as radiologists. Before the war men wore pocket watches and only ladies wore wristwatches. It was said that a man would sooner wear a dress than a wristwatch! 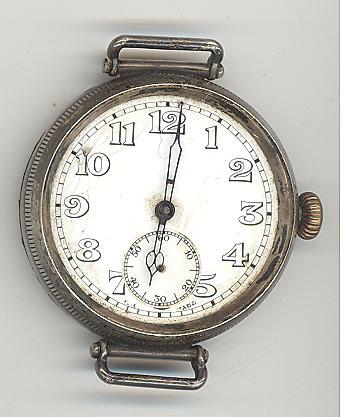 However, pocket watches were not practical in the trenches. The wristwatch is a typical good quality Swiss wristwatch from the end of the First World War period and the numerals and hands were designed to be filled with radium to create a luminous dial. The presentation of the watch was as a token of appreciation for Wallwork’s work in the X-ray department of the King George Hospital from 1915 to 1919. All of the three doctors were deeply involved in the BIR or its predecessor organisations and sadly all three suffered from radiation-induced disease. Their names are recorded on the X-ray martyr’s memorial in the grounds of St George’s Hospital in Hamburg. Ironside Bruce was on the staff of Charing Cross Hospital and the Hospital for Sick Children in Great Ormond Street. He was very talented and published widely and his well known book “A System of Radiology; with an Atlas of the Normal” came out in 1907. The British radiological world was shocked when Bruce died of radiation-induced aplastic anaemia in 1921 at the young age of 42. The outcry resulting from his death resulted in the formation of a radiation protection committee. George Harrison Orton was a pioneer of radiotherapy and was in charge of the X-ray department at St Mary’s Hospital in London. After his death it was said in his obituary that he was “perhaps the last martyr pioneer of radiology”. Stanley Melville worked at St George’s Hospital in London and was BIR president in 1934. Both Orton and Melville served periods as co-secretary with Sidney Russ (physicist at the Middlesex Hospital) of the newly formed British X-ray and Radium Protection Committee set up by the BIR, and radiation standards were set. 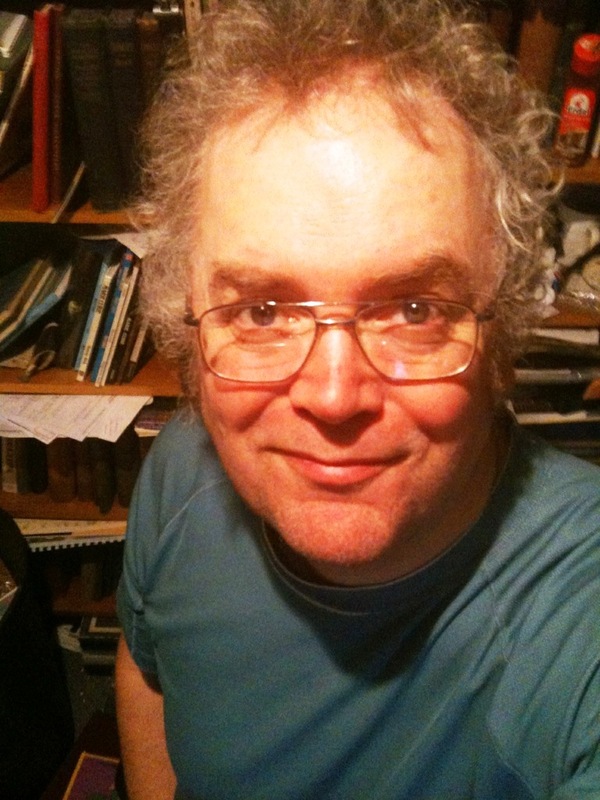 Dr Thomas was a medical student at University College, London. He was taught medical history by Edwin Clarke, Bill Bynum and Jonathan Miller. In the mid-1980s he was a founding member of what is now the British Society for the History of Radiology. In 1995 he organised the radiology history exhibition for the Röntgen Centenary Congress and edited his first book on radiology history. He has published extensively on radiology history and has actively promoted radiology history throughout his career. He is currently the Chairman of the International Society for the History of Radiology. Dr Thomas believes it is important that radiology is represented in the wider medical history community and to that end lectures on radiology history in the Diploma of the History of Medicine of the Society Apothecaries (DHMSA). He is the immediate past-president of the British Society for the History of Medicine, and the UK national representative to the International Society for the History of Medicine.